"A mind that's stretched by a new experience can never go back to it's old dimensions." When Anna was challenged to create a design replicating the dropped stitches of knitting, she dove right in. 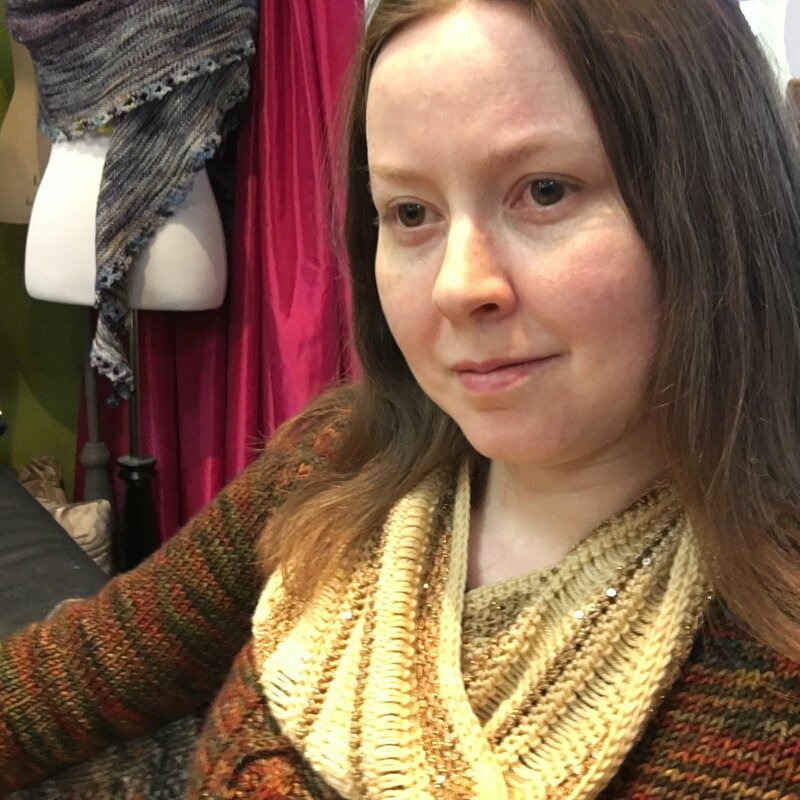 This cowl uses a technique similar to broomstick lace to create stitches that are stretched in appearance, giving a whole new look to your crochet. Join us for class and we'll teach you all the ins and outs of working this design. With US I hook and main color, chain 121 (221), hdc in 2nd chain from hook and in each chain across. Round 1: Chain 1, sc in 3rd loop of each hdc around, slip stitch in 1st sc to join.